Every season another new gallery opens with over a dozen present today in the Pueblo Magico of Todos Santos. Visitors can gallery walk the quiet colonial streets six days a week. Some galleries remain closed on Sundays. Galleries and paintings are displayed everywhere in the town. You’ll find art displayed in restaurants, hotels, 200-year-old colonial buildings and at the towns cultural center museum and gallery on upper Benito Juarez. Nearly all galleries are within an easy walk of the central cathedral plaza. Printed gallery guides are often found in the area hotels and galleries with listing of galleries and artists studios. 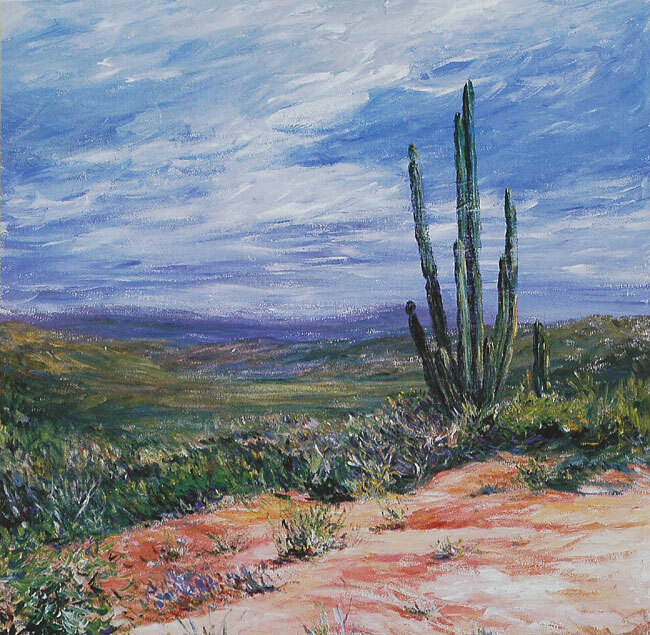 In Todos Santos one can find Indian spiritual surrealist paintings by legendary artist Charles Stewart, plein aire paintings (small landscapes painted outdoors) by master Ezra Katz, 20’s Bauhaus style work by Mexico’s Gabo and faux Van Goghs landscapes in happy colors by numerous painters who paint in this popular style. 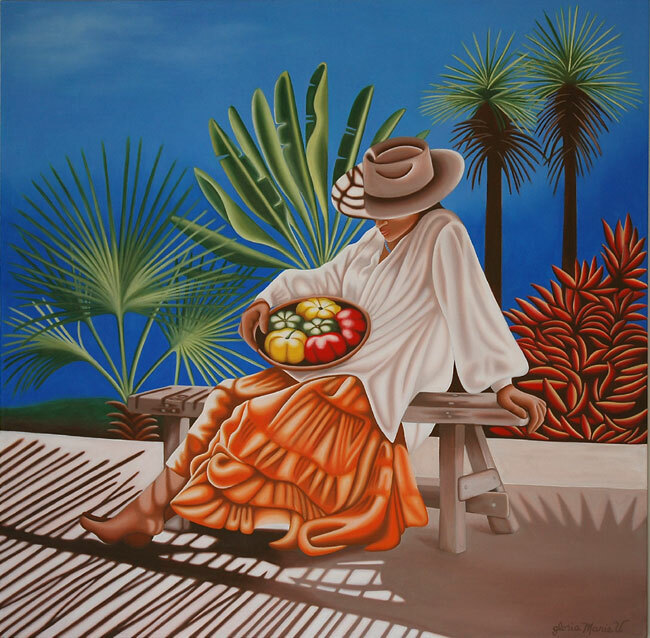 Art collectors may find unique work at galleries featuring professionally trained artists from Mexico and other countries. 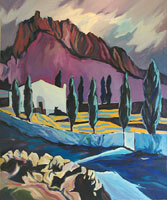 Local galleries and artists studios include works on paper, paintings, sculpture, stained glass and photography. Most art sold here is smaller and easily transportable on airplanes. Larger works can be shipped DHL. Remember artwork is excluded from customs duties. So come, enjoy and take home a piece of Mexico. Charles Stewart Gallery and Studio - See listing below under Stewart, Charles. Colores de Mexico Gallery - A family owned gallery specializing in photographic art. The owner and photographer, Pat Gerhardt and her daughter Christiana Parsons have been capturing images on film for over 30 years. Don Quixote Gallery - Owned by Gregorio Martin Flores, who is a proficient artist in many media. The Gallery Don Quixote represents 16 artists from around, the world. Calle Legaspi between Calle Hidalgo and Calle Topete. Gabo Art Gallery and Studio - Galeria de Gabo - Marquez de Leon, between Juarez and Colegio Militar, Todos Santos, Baja California Sur, CP 23305 Mexico. Galeria Arturo - Arturo Mendoza Elfeo is the owner and principal artist in this charming little gallery. He is a long time local artist. His oils and acrylics are well executed with an eye for balance and color. #26 Calle Centenario between Topete and Calle Obregon, Todos Santos, BCS CP 23305 Mexico. Galería de Todos Santos - Pat and Michael Cope - Opened in 1994. The Copes hold regular shows throughout the season for regional artists. An eclectic and inspired collection of representational, contemporary and abstract art, this space is a must for art lovers. #33 Calle Legaspi. 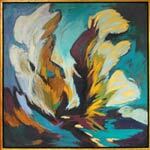 Galeria Indigo - Fine Art Gallery - Owned and operated by Frieda Telemans, who is completely bilingual and very personable. Calle Juarez (entre Hidalgo y Topete) formerly the location of Fenix. Open Mon to Sat 10 am to 5 pm. Galeria La Coronela - The gallery and studio of the well known Mexican artist Victor Vega. Calle Legaspi between Calle Topete and Calle Hidalgo, Todos Santos, BCS CP 23305 Mexico. Galeria La Poza - In the Posada La Poza whose walls are graced by the art of one of the owners, Libusche Wiesandanger. Colonia La Poza, off of Calle Santos Degollado, Todos Santos, BCS CP 23305 Mexico. Galería Logan - Jill Logan - One of the finest galleries in town, showing the work of painter, Jill Logan. 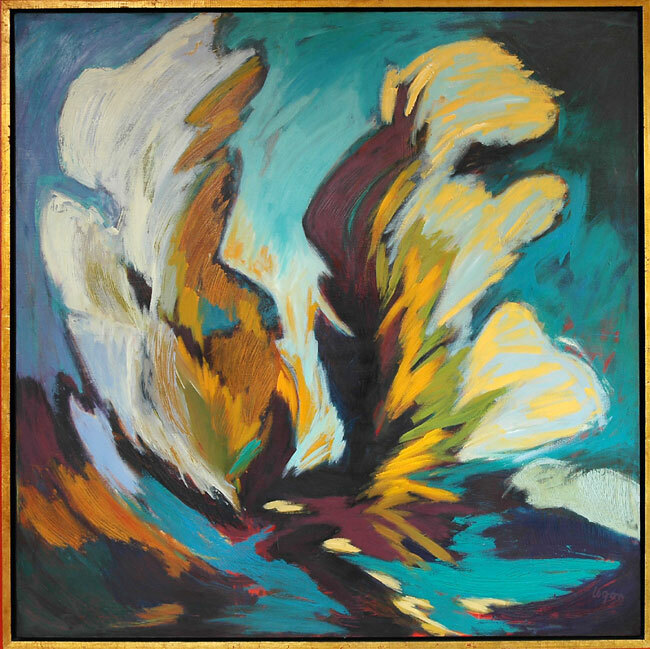 A professional artist for sixteen years, Jill Logan has exhibited in New York City, Florida, Oregon, New Mexico and California. Calle Juarez and Morelos. Galería N. E. Hayles - Art Gallery - Studio - Fine Artist - Featuring Paper Tile Mosaics, Oil Paintings, Mixed Media Abstracts, Ceramic Tile Mosaics, and Unique "One of a Kind" Furniture. N.E. Hayles Gallery, Calle Cuauhtémoc Final, Todos Santos, BCS, CP 23305 Mexico. Open Monday - Saturday 11:00 am to 4:30 pm. Galería Santa Fe - Fine Folk Art & Crafts. Calle Centenario near the plaza in front of the Mission Church. The gallery is open every day except Tuesday from 8am to 3pm. 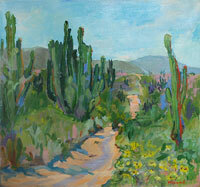 Galería Wall - Oils by Catherine Wall - Catherine Wall has been an artist all her life. Her interest began at the age of 10 years when she won prizes for her posters. Calle Hidalgo between Colegio Militar and Rangel, Todos Santos, BCS, CP 23305 Mexico. La Coronela Gallery - The gallery and studio of the well known Mexican artist Victor Vega. Calle Legaspi between Calle Topete and Calle Hidalgo, Todos Santos, BCS CP 23305 Mexico. Manos Mexicanos - Arts, Crafts and Jewelry. Displaying the the craft and pottery of local artist Rubén Gutiérrez. Topete and Centenario, Todos Santos, BCS, Mexico. Margaret McGall Boyes - Gallery and Studio - Currently her gallery and studio has her work in watercolors, acrylics and ceramic tiles with Baja themes. Calle Baja California Sur near Calle Punta Lobos, Todos Santos, BCS, Mexico. Open most days from about 9am to 3pm. It is best to make an appointment to view her works. Wendy Faith, Artist in Glass - Wendy is a self taught artist and worked extensively with cloth, wood, paint and light metal, but her main focus for the last 20 years has been glass. Las Casitas Bed and Breakfast, Calle Rangel between Obregón and Hidalgo, AP #73, Todos Santos, BCS, CP 23305 Mexico. Stewart, Charles - Gallery and Studio - Studio home of artist Charles Stewart and his wife Mary Lou, who arrived from Taos, New Mexico in 1986. Centenario and Obregón, Todos Santos, Baja California Sur, CP 23305 Mexico. Margaret Woodall - Artist - Oils, Pastels and Serigraphs. Calle Raul A. Carrillo, Todos Santos, Baja California Sur, Mexico. Telephone: (624) 145-0501. 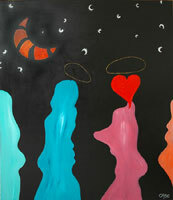 Her art is exhibited now exclusively in the Galeria Indigo.